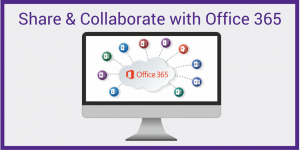 OneDrive is available as part of K-State’s Office 365 package and can be used to store, share, and collaborate on files. You can use it to store class assignments, departmental and committee documents, public research data, and other project information. You can also securely share and collaborate on files with specific individuals. Create a new folder when you need to store groups of files. Never store confidential data, including but not limited to Personally Identifiable Information (information about an individual that contains a unique identifier). Do not store non-university files on OneDrive because these could be obtained by others through a subpoena or other legal process. Only share files with specific individuals. Remove individuals’ access when they no longer require access to files or folder.